OLYMPIA, Wash. – For the second time this season, two Oly Town Artesians have been named Offensive and Defensive Players of the Week. 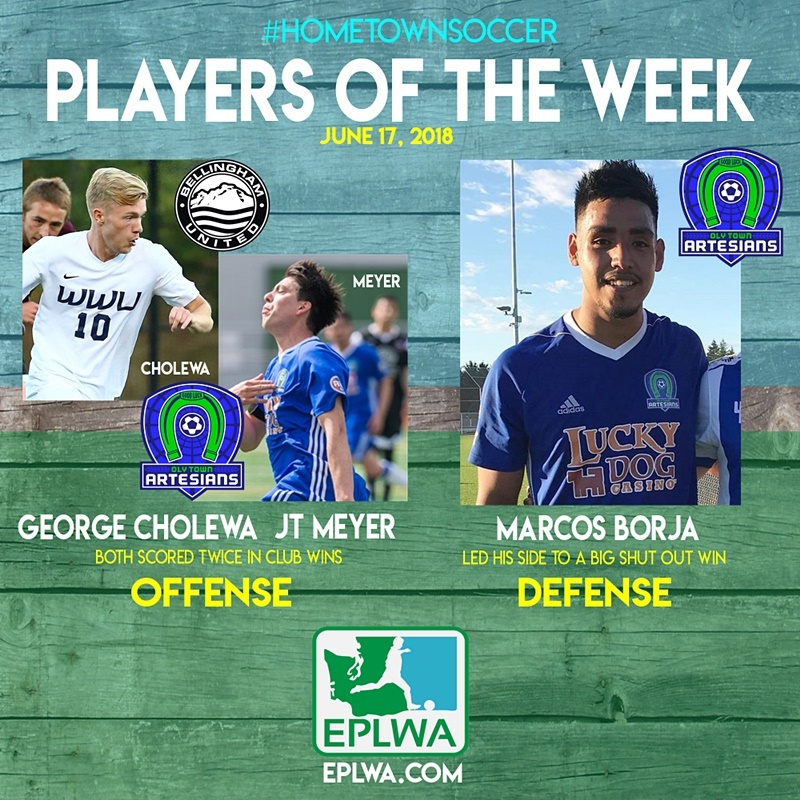 JT Meyer earned his first Offensive POTW award with his two goal effort against Tri-Cities on Saturday and Marcos Borja won his first Defensive POTW for his work in keeping the Alliance off of the scoreboard in Oly’s 4-0 win over the Alliance. It didn’t take long for Timberline High School alum JT Meyer to score his first goal, and what proved to be the game winning goal, in Saturday’s game. Just five minutes in, he received a pass from Nate Boatright, made a move and calmly buried the shot. Then, in a three goal barrage midway through the second half, he added an insurance goal that put the Artesians up 4-0. 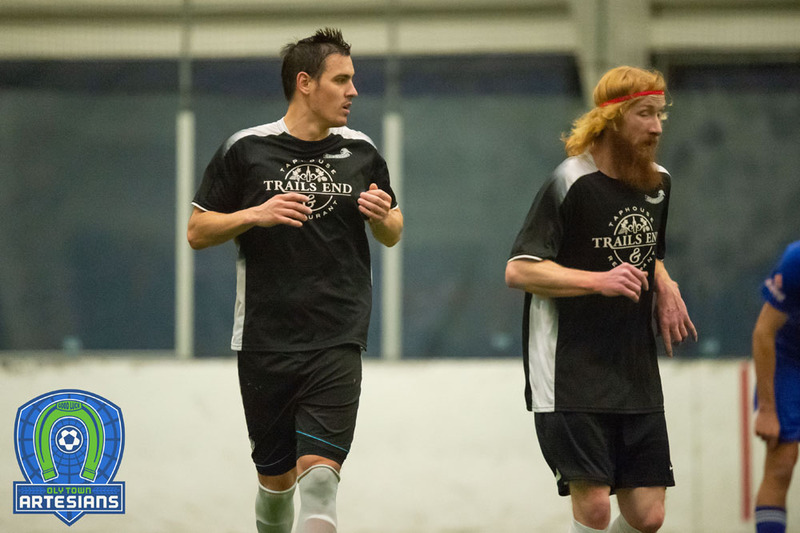 The Whitworth University product became the fourth player in Oly Town history to record a brace and is now the career goals leader for the outdoor side with five. Meyer shares the POTW award with Bellingham’s Georg Cholewa, who also recorded a brace for the Hammers. 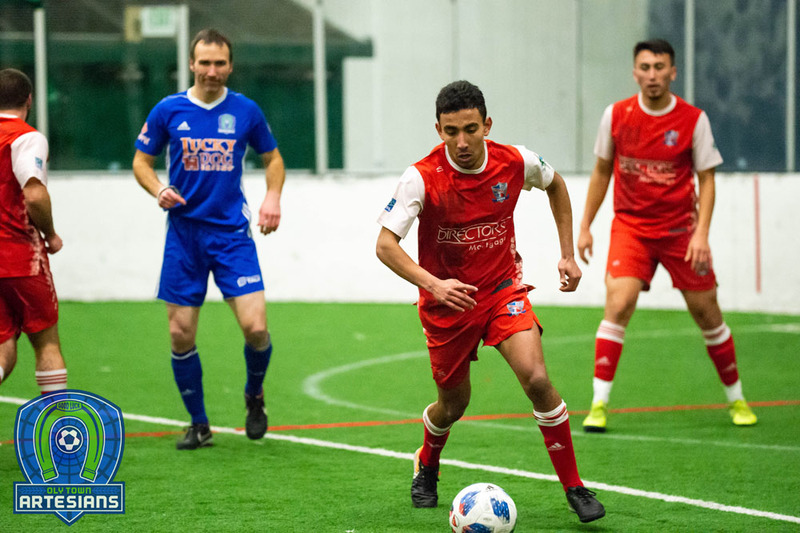 Marcos Borja has been a key component of the strong Artesians defense and played a fantastic game in Oly’s 4-0 win over his hometown Tri-Cities Alliance. The Evergreen State College senior has started every game and is second only to goalkeeper JJ Olson in minutes, playing in 483 of 540 possible minutes this season. The Kennewick native helped keep Oly’s first clean sheet of the season, and did so against his older brother, the Alliance’s Sam Borja. 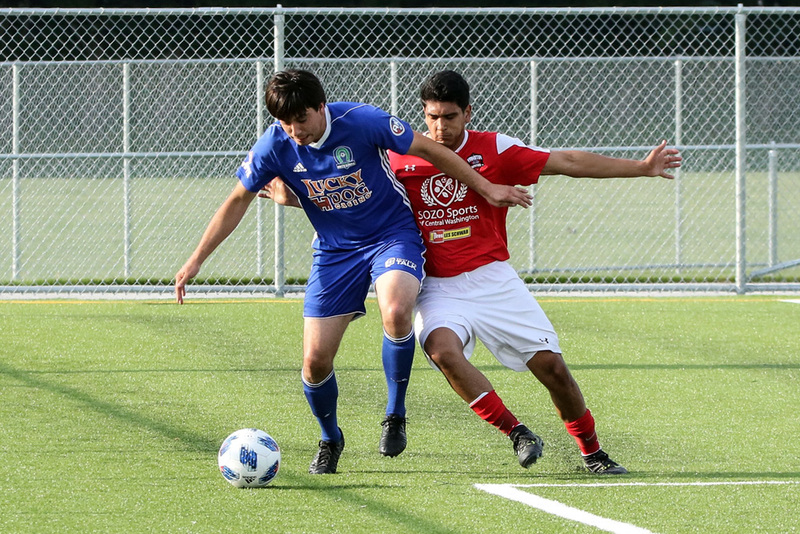 Meyer and Borja earned the fourth and fifth awards for the Artesians this season. 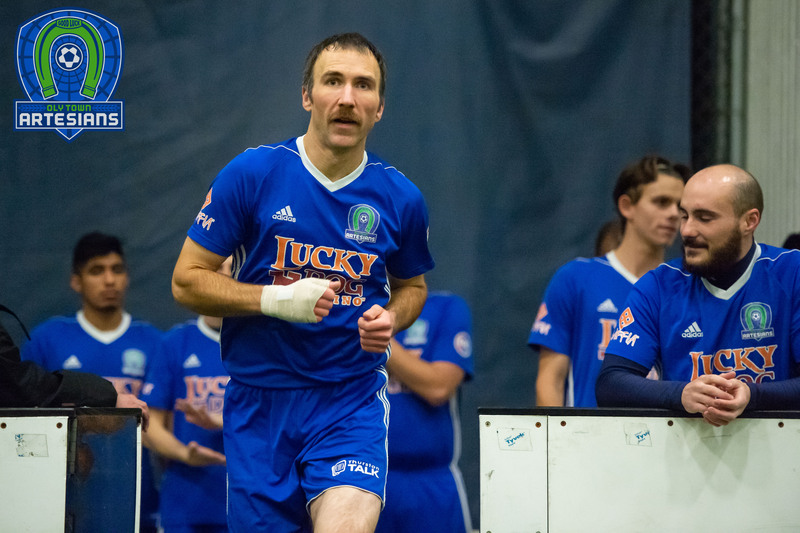 Olson was honored for his effort in goal in a 2-1 win over the Seattle Stars on May 13th and then Daniel Gonzalez and Crisantos Chavez swept the awards after a 4-1 win over Spokane on June 2nd. Oly is 3-1-2 this season with 11 points. They sit four points behind Coastal Division leader Seattle with one game in hand and are one point behind the Vancouver Victory for the Wild Card spot with four games left to play. 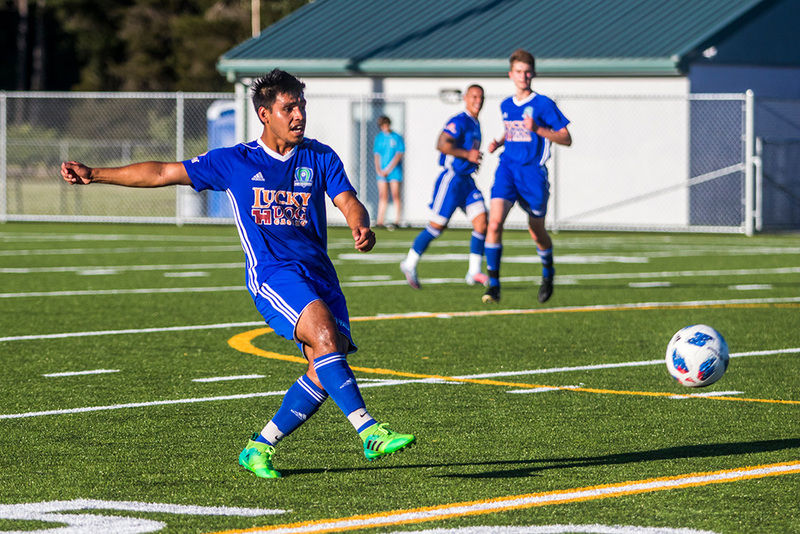 The Artesians take this weekend off but will return home for their final regular season home game on Saturday, June 30th against the Vancouver Victory. It is Fan Appreciation Night with plenty of prizes and giveaways to Oly’s fantastic supporters. 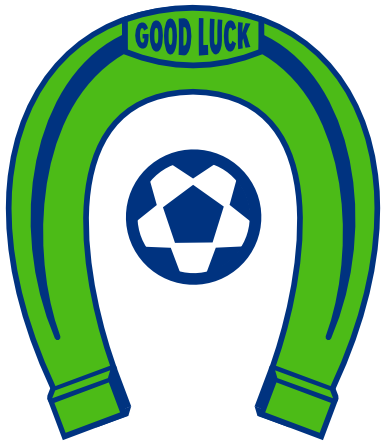 First kick at Black Hills High School is set for 6:00 PM and tickets can be purchased at www.olytownfc.com/tickets.